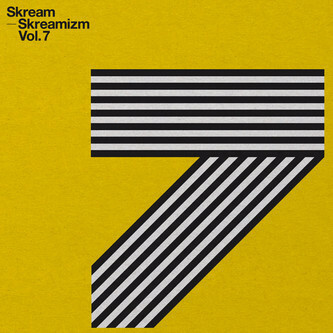 Heavyweight six-track EP from the OG dubstepper, featuring a wicked guest vocal from Kelis. 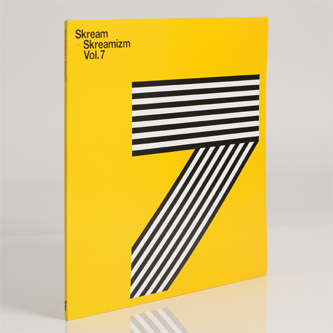 Noticeable by his absence from the release schedule since 2011, 'Skreamizm Vol.7' at once reinforces Skream's signature halfstep style whilst showcasing expansion into new sounds and tempos. The most striking is 'Copy Cat', featuring a purring, feline vocal from Kelis and even a miaowing Henry The Cat-style breakdown framed by gossamer bleeps. To be fair we've only heard it a few times, but we'd say it's gotta be one of his best tracks to date. The other anomaly is 'Sticky', paying deference to the tidal surge and ubiquity of 4/4 house with acid house snare rushes, grinding sawtooths and jackin' rhythms for your shape-cutting gratification. But, if you're after some good ol' halfstep look no further than the mid-range guillotine synthlines and explosive percussion of 'Vacillate' or the darkside dungeon-style riffage on 'Inhumane' or 'Junkyard Dispute'.